Firstly we’d like to extend a warm welcome to the young Clyde supporters who are here as guests of the Young Pars. Hi Young Pars Some hardy Young Pars turned out for the qualifying heat of the Penalty Kick Competition last Sunday at a chilly Pitreavie playing fields. We all enjoyed our trip to Broadwood last Saturday to watch the Pars play Clyde. It was a cold day with a strong wind, which spoiled the game a bit, but we came back with a win so that warmed everyone up! Our next away game for Young Pars members is St Johnstone on Saturday 29th March. Please phone Christine on 01383 822012 if you wish to join us on this trip. As per letter sent out to members - phone Christine to book your places as soon as possible if you want to avoid being disappointed. We are looking forward to a couple of away games with the Young Pars. The first of these is to Clyde next weekend, followed by a trip to St Johnstone next month. A warm welcome to all Young Pars and their friends who took advantage of the free tickets on offer for this afternoon’s game. Hope you enjoy yourselves. (Entry for Young Pars page of Match Programme v St Johnstone) First of all we’d like to give a warm welcome to Jim McIntyre in his new role as manager of Dunfermline Athletic. We managed to get some good results over the Festive period, moving up to fourth place in the league! Let’s hope we can move even higher before the end of the season! Hope you all had a lovely Christmas and that Santa was good to you! He was certainly good to us last Saturday when we gained a very welcome three points against Queen of the South. More of the same today would be very nice! Not long now until Christmas! Isn’t it exciting?! Hope he brings lots of lovely goodies – starting with three points here today! On Tuesday 4th December Dunfermline Athletic terminated their contract with Stephen Kenny and with immediate effect Jim McIntyre becomes DAFC’s caretaker Head Coach. The Young Pars night out with the players at Bowlplex was a striking success. The good news for Stephen Kenny is that all his players scored well and none of his players sustained any injuries in the process. What a busy month ahead of us – both on and off the park! This is the first of six games being played this month, with four of those games being played at home! Some of our older members enjoyed our first Club night of the season which was held in the Kingdom Suite a couple of weeks ago. Hope you’re all enjoying your holidays. Still another week to go so make the most of it! We held a Club night with lots of activities for Young Pars members on Tuesday evening. Congratulations to Lewis Sharpe who won our first programme competition of the season. 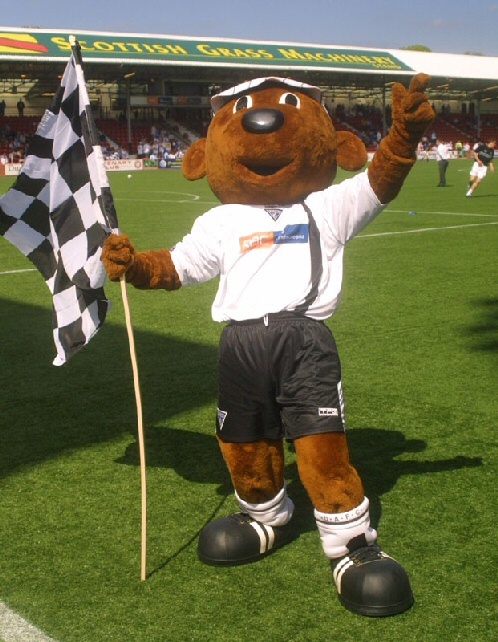 Sammy says thanks very much for visiting our web site where we have lots of news for young Pars fans.